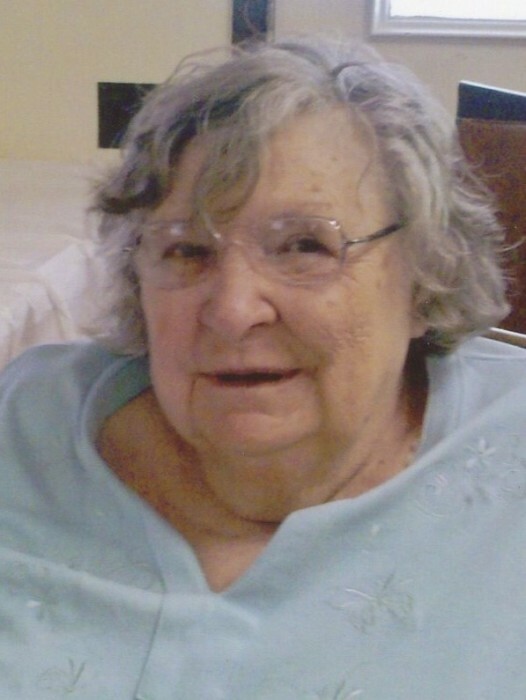 Gladys G. “Nell” Gibson, 87, formerly of Marion, died Tuesday, December 4, 2018 at her residence in Holly Hill, Florida. Nell was born in Jonesville, Virginia on December 2, 1931, daughter of the late Nathaniel and Stella (Johnson) Edwards. She married James C. Gibson on June 28, 1952. He preceded her in death on October 23, 2008. Nell retired from General Tire in 1993 where she worked in production. She soon moved to Florida to enjoy her retirement in the sunshine. Nell enjoyed NASCAR, her favorites being Dale Earnhardt Jr. and Jeff Gordon, and also enjoyed watching Survivor. Nell is survived by son, Billy (Margaret) Gibson of Fairmount and daughter, Judy Jones of Holly Hill, Florida; best friend and sister-in-law, Elaine Gibson, Gaffney, SC; her shih tzu companion, Rocky; 11 grandchildren, several great-grandchildren and nieces and nephews. Nell was the last surviving of her 10 brothers and sisters. Along with her parents and husband, she was also preceded in death by her son, Larry Gibson and her grandson, Dustin Hartley. Arrangements are being handled by the Fairmount Chapel of Armes-Hunt Funeral Home and Cremation Services, 415 S. Main Street, Fairmount, Indiana where services will be held on Saturday, December 8, 2018. Funeral service is at 2 PM with Rev. Tom Kinnan officiating. Visitation is from 12-2 PM. Entombment will follow at Gardens of Memory. Memorial contributions may be made to the Marion-Grant County Humane Society in care of the funeral home.